Two teams lost their 100% records on Sunday 10 February, with Southampton FC defeating Oxford City 5-0 and Consett holding Redcar Town 2-2. 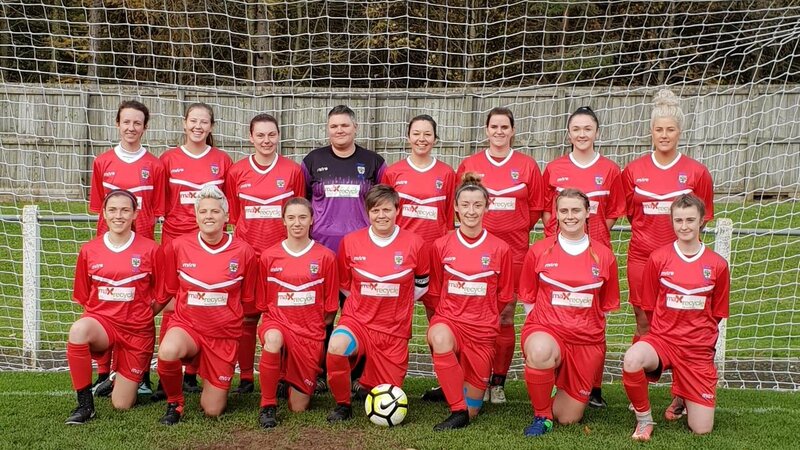 PREMIER – Harlow Town went up two places to sixth with a good 4-2 result at fourth in the table Wymondham Town, where Poppy Binding got two of their goals. Haringey’s match with Bedford was abandoned due to a head injury to Borough’s Julia Carruthers, who was later discharged from hospital. ONE – St Ives Town moved four points clear with as many goals at King’s Lynn Town, including a double by Tierney Coulson. LEAGUE CUP 3RD RD – Colney Heath eliminated Lawford 3-0 with the help of a Rianne Townsend-Brown brace. PREMIER – Leaders Leicester City WFC Development dropped points for the second consecutive Sunday, held 3-3 at home by an Eastwood who were 3-1 down at half-time. Peterborough United pushed into third spot with all five goals at Leicester City Ladies, three of them from Jessica Driscoll. 1 NORTH – Top team Boston United routed basement side Retford United 13-1 with four from Eleanor Spendelow, hat-trick by Toni McHamilton and Tracey Duxbury-Mead. 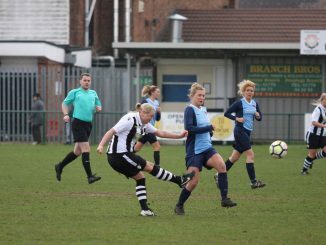 Second-placed Lincoln Moorlands-Railway took the points 2-0 at Calverton Miners Welfare as Alice Hayes and Lauren Churcher struck in a five-minute spell. Grimsby Borough leapfrogged Ilkeston Town into fourth with a 2-0 win over them thanks to efforts by Lydia Clark and Laura Flecknor. 1 SOUTH – Third-placed Notts County netted seven at Corby Town who managed just one in response. 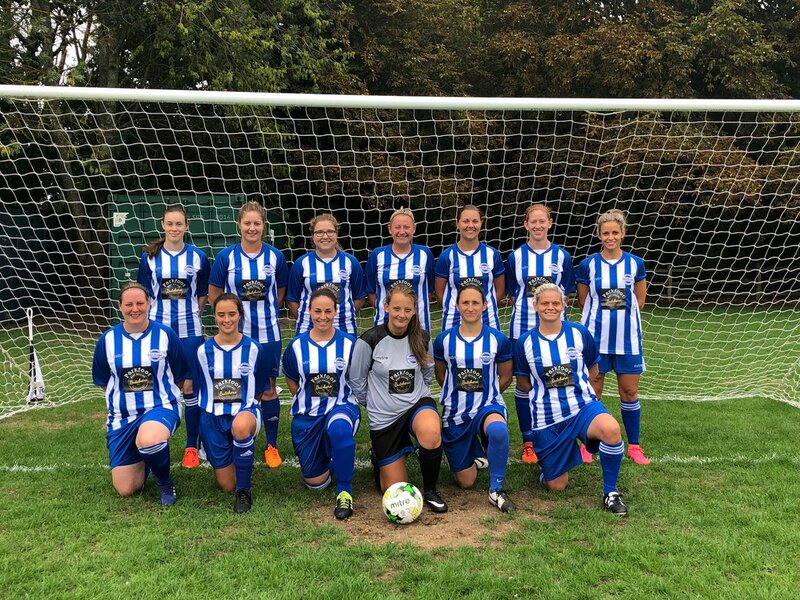 PREMIER – Kent Football United missed the chance to go top, just rescuing a point from a 2-2 draw at home to Aylesford, whose goals came from Fiona Constable and Alison Draper. London Kent Football United are within a point of third-placed Whyteleafe, having defeated them 4-2 with the aid of an Emily Hart double. Eastbourne Town took fifth place from QPR Girls Development whom they beat 3-0 with substitute Molly Hill hitting a 21-minute treble. Parkwood Rangers picked up just a second win of the season as Zoe Evans got the only goal at Fulham. GREATER LONDON PREMIER – Godalming Town gained two places, going second when hitting hosts Watford Development 6-1. Colne Valley drew 1-1 with Spurs Development with a Nicola Saunders effort. JOHN GREENACRE MEMORIAL TROPHY 3RD RD – Ashford Town (Middlesex) saw off Leyton Orient Development 9-2 with six second-half goals, Ashley Cheatley and Lavana Neufville both notching hat-tricks. SOUTH EAST COUNTIES PREMIER – Ashford’s 3-2 result at Bexhill United edged them into second on goal-difference, Saltdean United having gone down 3-1 at Phoenix Sports, while Worthing won by a similar score at Meridian. PREMIER – South Shields stayed second with a 3-0 victory at Farsley Celtic, achieved by a treble in the last half-hour from Dannika Purdham. Hartlepool United sank York City 7-1, Harrogate Town hit Rotherham United 6-1 and Wallsend BC’s Emma Hewitt and Jessica Hooper were at the double in the 7-0 scoreline against Ryton & Crawcrook Albion Tynedale. 1 NORTH – Redcar Town’s 100% record was ended in a 2-2 tie at Consett, whose Carolanne Hughes scored 3 minutes from time after Beth Wilson netted in the opening seconds. Sunderland West End gained ground with a 4-0 victory over Chester le Street Town St. Cuthberts as Kristen Whitfield was twice on target. Alnwick Town’s ten goals past Norton & Stockton Ancients Reserves featured four for Mel Darling and Stephanie Stafford. Prudhoe Town’s first win of the campaign came 5-0 over Cramlington United, two apiece for Lauren Cannell and Katy Hemmingway. 1 NORTH – Carlisle United moved three points closer to leaders Blackpool with a 4-2 beating of basement side Burscough Dynamo. ARGYLE SPORTS CUP 3RD RD – Chester top-scored with five past Northwich Vixens, West Didsbury & Chorlton scored four against Curzon Ashton and there were 3-0 victories for Cammell Laird at Didsbury, Tranmere Rovers away to Mossley Hill and FC United of Manchester home to Blackburn CSC. Stockport County just got the better of Bury 2-1 and Merseyrail eliminated Altrincham 3-1 to make the quarter-finals. ARGYLE SPORTS PLATE 1ST RD – Blackpool put out Penwortham Town 3-2 to reach the last eight, Wigan Athletic went through 2-0 over Liverpool Feds Reserves, while Fleetwood Town Wrens were awarded the tie with City of Liverpool. 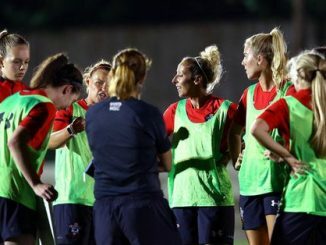 PREMIER – AFC Bournemouth stayed top on goal-difference with an 8-0 result over Woodley United seeing six goals after the interval and two each for Maisy Smith and Chloe Tape. Oxford City’s perfect run ended in a 5-0 reverse at Southampton FC, Shannon Sievwright striking twice as the Saints stayed right on the Cherries’ heels. 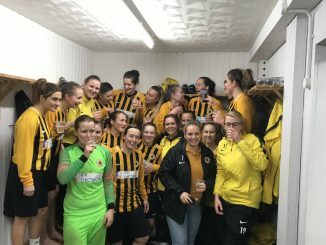 Danielle Cheyney hit a ten-minute hat-trick as Warsash Wasps jumped three places of the foot of the table with an 8-1 thashing of New Milton Town in which Megan Fox also scored three times. ONE – Moneyfields are just a goal short of leaders Wycombe Wanderers having hit hosts Alton for six, Katie Shorter helping set up the win with a brace in the first 30 minutes. Basingstoke Town overtook Wargrave with a 3-2 away result against them to go eighth. PREMIER – Keynsham Town Development kept themselves top as Rhianna Ben-Carew got two in a 5-0 win over Downend Flyers. 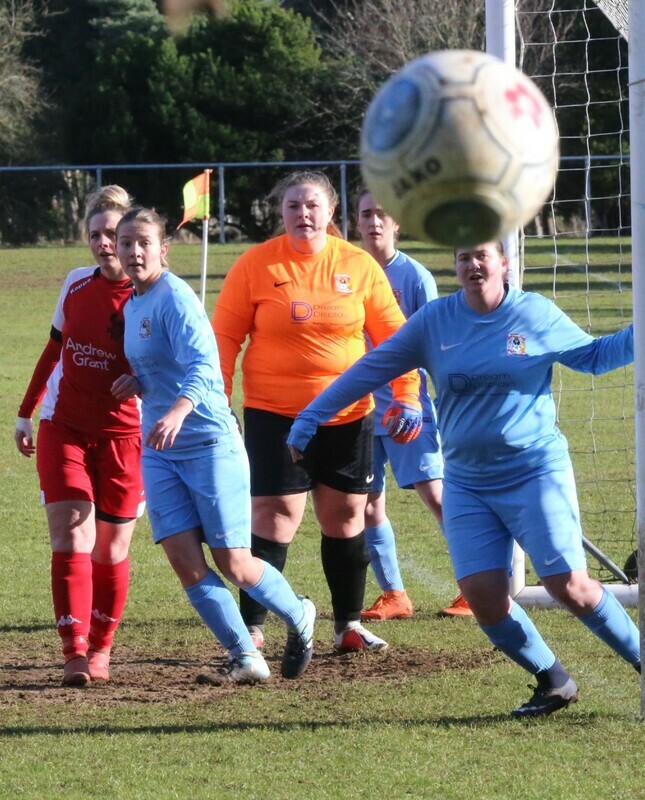 Callington Town were seven up against Middlezoy to rise two places to second, two each from Adele Brown, Eleri Griffiths and Chloe Williams. 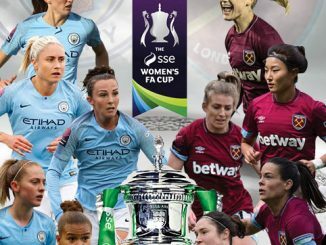 1 EASTERN – Wootton Bassett Town have an eight-point advantage at the top following their 5-0 beating of AEK Boco, in which Emily Arrell was twice on the score-sheet and opposition sub Charlotte Brankin was sent off. Cheltenham Town Development edged their counterparts from Swindon Town in dramatic fashion, Courtney Lusmore scoring in the last minute. 1 WESTERN – Desni Darch found the net for Weston Super Mare but Pen Mill came away with a 1-1 result. PREMIER – Worcester United’s second win of the season was a narrow 3-2 one over bottom-of-the-table Knowle. 1 NORTH CUP Q/F – Leaders Leek Town went through 4-1 against Sandwell, Chantelle Gallagher to the fore with three goals and an assist. 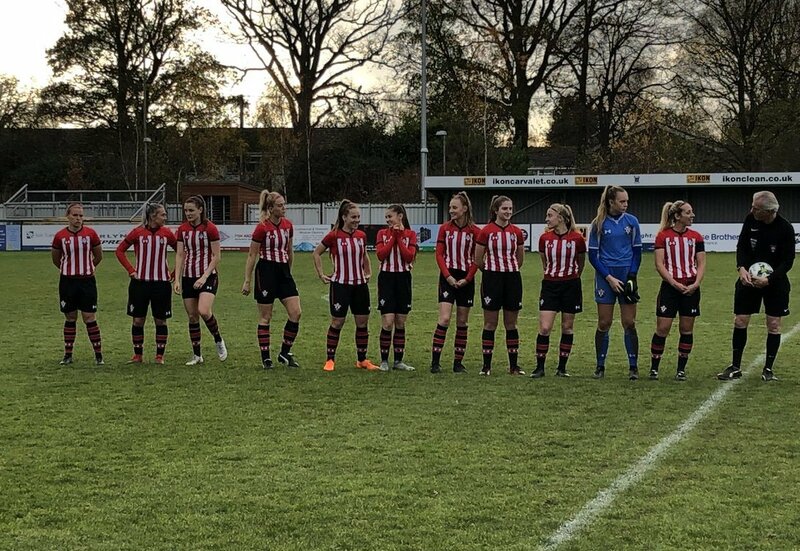 1 SOUTH CUP Q/F – Kidderminster Harriers are through to the League Cup Semi-Final after beating a ‘spirited young Coventry City’ side 8-0, Katie Priest and Amber Lawrence with two each.